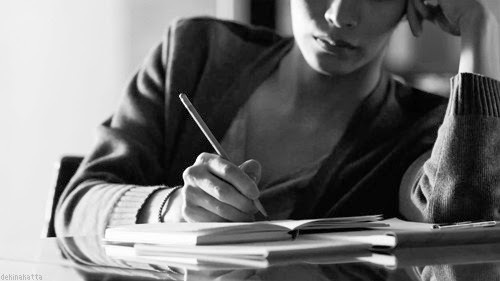 I've been wanting to write You for so very long. As I drove into work this morning, I felt Your presence and knew it was time. I don't know if I have all the words...but I know I will. I know that I want to tell you how thankful I am for the life You have given me. You carved out the best life that You knew I needed. You gave me struggles so that I could learn to be stronger. You make me feel like I am enough. You were my first Father before anyone else. You made sure I was put into situations that only You knew I could handle. I believe that before I came down here, before I was a mere thought in my parents' minds, You sat me down and explained to me what my life was going to be like. You let me decide if I could handle it. You knew I could. You knew I would falter, but You also knew that there was great strength in me. Thank you for believing in me. I understand that the way You wanted me to talk with You was through my words. I see that this is "our thing". This is my way of telling You how much I know that You are right there with me - every step of the way. I know You put Your mightiness in me so that I could handle anything that came my way. It didn't matter how old I was or when I learned that You existed. You were always there - waiting for me. Each time I slid back to ways I shouldn't, You were there with open arms. Even now, as I write these words, I know You just smiled as you sat next to me knowing I would come back and be ready to receive You. Thank you for my husband and listening to my nightly prayers for someone who knew You. He is a man of greatness, made especially for me, and I know You gave us a way to be together. Thank you for the children You gave me - even the one that is up there with You. You are taking care of that child the way I never could and I understand. I always understood. But You also gave me two healthy, beautiful children so that You could watch me be the mother to them that I always wished for. Thank you for my friends - the ones You put in my life for a season, the ones for a lifetime, the ones I hardly see but once a year. You put them there to teach me and support me - and I will forever be grateful for the family You let me build for myself. Thank you for giving me a job that supported our family for so many years - and making me productive and efficient because You knew I could do it. Thank you for making me realize that I needed to further my education so that I could show my daughter that she will be able to do it, too. I thank you for reminding me that I am only human - I am not perfect. I can only do so much and that it's okay. I know that we've discussed this before...and I want You to know that I am working daily on it. I am working on loving myself the way You love me. I am going to believe in myself and see what You see in me. I promise. And if I waver in this promise, I will make sure to talk to You about it and let You lead me in the right direction, okay? My Heavenly Father, thank you for giving me the words each day to inspire my readers and build a closer bond with them. I know that You gave me this space for that reason. I know that You planned this space especially for me so that I can open up the doors to my silence and to always be brave to say what I have to. Let's do this again soon, Lord. Remind me to come to You and share my love for You to all that come to this space. Oh Nay I love this post so flipping' much! xoxo love you my sweet friend!